Wonder Woman has FINALLY made her big screen debut in this years Batman v Superman: Dawn of Justice! The character came out with a bang and helped take down the villain, Doomsday. 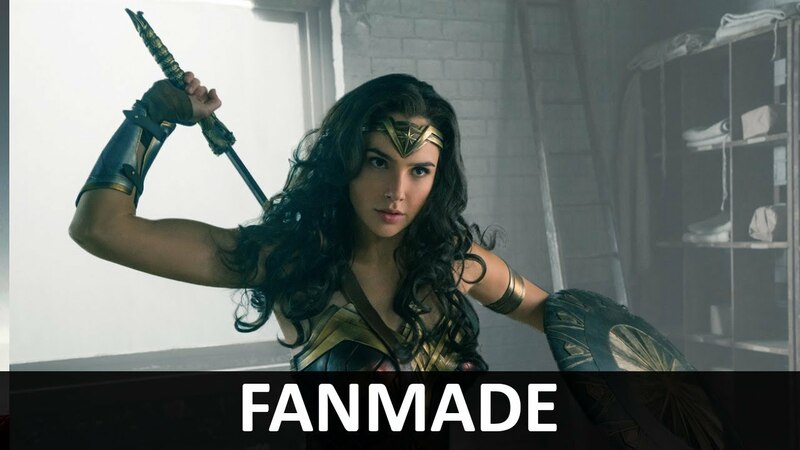 While she didn’t play a large role, Gal Gadot’s Wonder Woman was needed and the fans cheered as soon as she appeared on the big screen. The Amazonian warrior was absolutely badass and showed a lot of charisma with her fighting skills. As you can see, Wonder Woman takes center stage in this picture with her love interest Steve Trevor (Chris Pine) standing right next to her. The period of this picture takes place towards the end of World War I. This photo appears to show soldiers returning from an overseas battle with Wonder Woman leading the way. Wonder Woman looks absolutely stunning in this trailer. Her skills prove she’s a warrior and isn’t afraid to combat against her enemies. With Wonder Woman taking place during an era we haven’t seen on film that often, it should be a breath of fresh air when it’s all said and done, especially for those fans who enjoy watching war epics. Having the film take place during this time period can open doors for other WWI films in the near future. 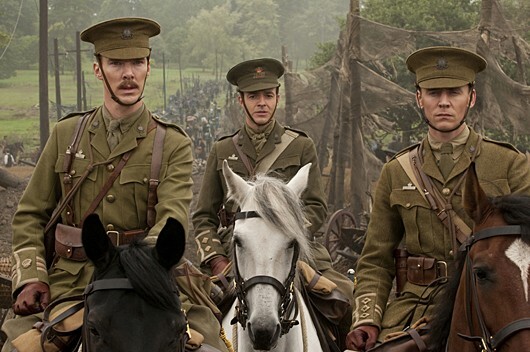 Why Haven’t We Received Enough WWI Films? This a question that I continue to ponder. The word “enough” is sort of misdirecting because we have in total, 130 films that take place during WWI. However most of these films are unheard of and were made decades ago. You may recall some of these movies including All Quiet on the Western Front, Legends of the Fall, and Steven Spielberg’s War Horse. These films were critically acclaimed with Spielberg’s War Horse being nominated for an academy award. WWII on the other hand has had nearly 1,300 films and counting. There are SO MANY of these movies that many people have either seen or heard of including Tora! Tora! Tora!, The Bridge on the River Kwai, Casablanca, Patton, Schindler’s List, Saving Private Ryan, and Valkyrie, to name a few. What Did Chris Pine Have To Say On The Film Taking Place During WWI? He’s definitely spot-on when he says that “it’s a period we don’t see often.” WWI was a war that was heavily involved in Europe and the United States did not take part in the war until the very end, which is why the War isn’t as popular as WWII in the U.S.
Why Did The U.S. Enter WWI? 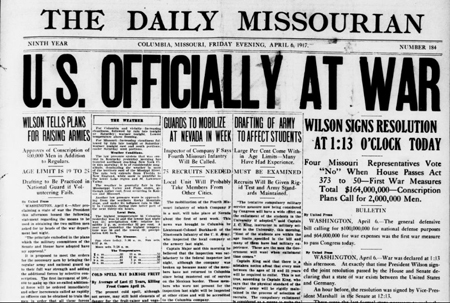 On April 6, 1917, the U.S. officially entered the War as a result of Germany resorting to unrestricted submarine warfare. This meant that Germany would take part in naval warfare, which is defined as the sinking of ships and submarines without warning. This caused a clash between the U.S. and Germany and would force America to fight in the War after a British submarine named the Lusitania carrying 128 America passengers, sank after an attack by the Germans. The U.S. only fought in the War for roughly a year and half as Germany officially surrendered on November 11, 1918 which eventually lead to a signed peace treaty known as the Treaty of Versailles. This treaty wouldn’t last long however since it would lay the groundwork for the beginning of WWII. How does Wonder Woman Factor into the War? This is a great question and probably won’t be answered until we see the film. I’m guessing that the Amazon’s will play a large role in helping the Allied soldiers defeat the threat of the German army. The United States helped turn the tide of war in both the Spring Offensive aka the Ludendorff Offensive (March-July 1918) and the Hundred Days Offensive (August-November 1918). Both of these major battles took place along the Western Front which was a “line” that ran from the North Sea all the way down to Switzerland. This imaginary line ran right in between France on one side and Belgium, Luxembourg, and Germany on the other. Why Should Fans of American History Enjoy the Movie? Of course this film won’t be historically accurate. When you have warriors like the Amazonian princesses come into play and help fight in a real World War, history is immediately in a way, thrown out the window. However, this doesn’t mean that there won’t be elements from real life events that took place during the First World War. Even though this movie will be a comic book film, it makes the film feel a little more realistic when Wonder Woman takes place during the War. The Allies are right in the thick of the War facing off against the continuing threat of the German army. It will be interesting to see what major battle(s) DC decides to use as a starting point for the Wonder Woman film. Obviously the outcome won’t be the way history was written but that’s what a great story teller is for. If DC can come up with a unique story to incorporate a real World War setting, then I will be very pleased. Joe Johnston’s Captain America: The First Avenger has proven that Marvel can take a fictional character and bring him into realistic historical events from WWII. Here’s hoping that DC can do the same, only this time it will be from World War I.
It’s also enjoyable to see a property like Warner Bros. take a crack at telling a compelling narrative from the First World War. I’ve touched on it earlier, but we NEED more films that give us a better understanding of this War. Wonder Woman certainly has that possibility even if it won’t be historically accurate. So what do you think of the Wonder Woman film? Are you excited that it will be taking place during WWI or would you have rather seen it during the Second World War like in the comics? Also, do you think history buffs will enjoy the film as it is? I’d like to hear your thoughts in the comment section below and don’t forget to share! Wonder Woman will debut in theaters everywhere on June 2, 2017. Sources: The Wall Street Journal, Americaslibrary.gov, and History.com.